On a recent rain-threatening Saturday I set out with a friend and fellow Soul Food Farm CSA member for Soul Food’s first ever farm tour. We weren’t sure what to expect but we were pretty sure we’d like what we saw. I mean they wouldn’t invite people if it weren’t going to be a pleasant experience. 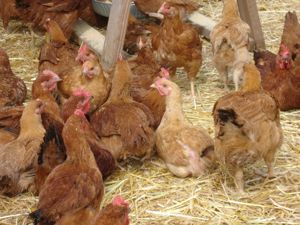 Though the wind came up, roaring through the chicken houses and causing hens to scurry and cluck, the weather held. 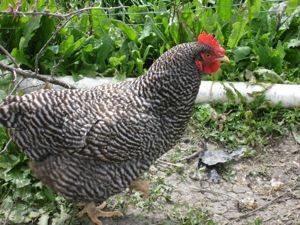 It was a lovely romp through the different parts of the farm followed by lemonade and chicken salad sandwiches in the kitchen, where we chatted with Alexis and one another between bites. We even made it to the tail end of the Berkeley farmers’ market on the way home. Pretty perfect Saturday if you ask me. These are the meat birds. Note the clean straw and healthy looking chickens. They take about 10 weeks to grow. These, I believe, are about 7 weeks old. These are the meat birds inside their house. The modular houses are disassembled and moved around the farm every few months to keep things clean. The birds are never given any drugs to keep them healthy. Sage oil in their water acts as an anti-microbial. Sort of like a chicken/or Easter egg hunt but not. 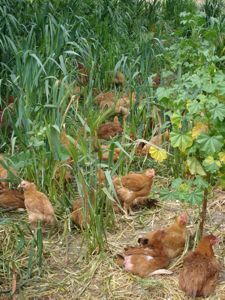 Now this is free-range. 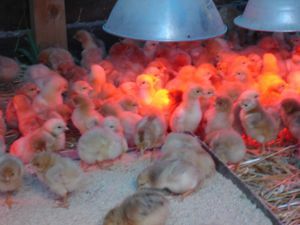 3 day old chicks that arrive by US Mail to the post office, where Alexis picks them up cheeping away in their boxes. They look like Peeps don't they? 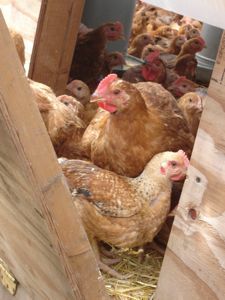 These are the laying hens outside, but under a shelter. Note how healthy they look. 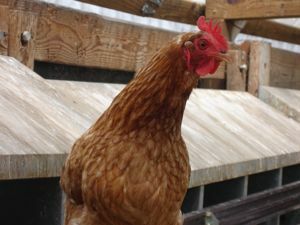 Their beaks have not been clipped, which is commonplace in the egg industry (yep, even the organic, cage free kind). What a pretty pretty girl! 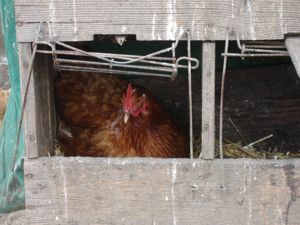 Comfortably roosting in clean, dry straw. 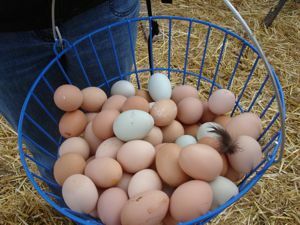 These were gathered in the hen houses by farm tour participants. Llamas and chickens are friends. 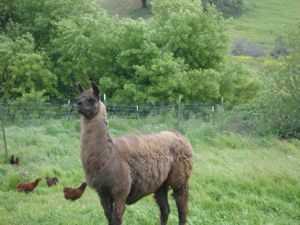 The llamas keep the predators away from the hen houses at night. 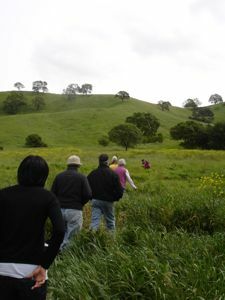 Here we are walking up the gentle slope of the farm. This is the site of the devastating fire last fall that nearly killed the farm just before its CSA program was about to launch. Amazing how nature renews. 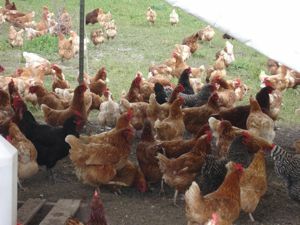 What a wonderful opportunity to be able to feel so connected to the eggs and chickens and people who feed me! This entry was posted in community, food news, food sustainability, from the market. Bookmark the permalink. Post a comment or leave a trackback: Trackback URL.